The Toyota Prius won the AJAC 2017 Canadian Green Car of the Year. Editor's note: An earlier version of this story incorrectly stated the 2017 RAV4 Hybrid is built in Woodstock, Ont. VANCOUVER -- Two Toyotas have swept the Automobile Journalists Association of Canada’s 2017 “green” vehicle awards. 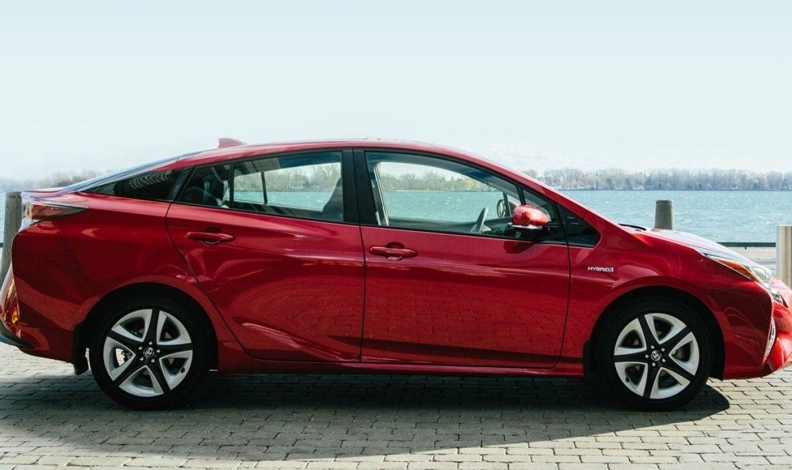 The 2017 Toyota Prius Hybrid with technology package beat the Kia Optima Hybrid and Chevrolet Malibu Hybrid for 2017 Canadian Green Car of the Year. The 2017 RAV4 Hybrid with technology package bested two non-hybrids, the Subaru Forester and Mazda CX-9, for Canadian Green Utility Vehicle of the Year. The winners were announced at the Vancouver International Auto Show, March 28. “The RAV4 Hybrid combines Toyota’s top-selling compact utility vehicle in Canada with the fuel efficiency and low emissions of the world’s most proven hybrid power train,” said predictably delighted Toyota Canada vice-president Cyril Dimitris, who voiced similar praise for the Prius. Contenders for the awards were evaluated by AJAC members as part of the 2016 Car of the Year TestFest at Canadian Tire Motorsport Park near Bowmanville, Ont. In addition to the regular criteria, characteristics such as recharging or refuelling time were considered. The main car and utility of the year awards, announced at the Toronto International AutoShow in February, went to the Volkswagen Golf AllTrack and Subaru Forester respectively.